Berlin – Ampler Bikes, the maker of light electric bicycles, has opened a flagship store in the heart of Berlin. With thousands of bikes sold and delivered since Ampler’s launch in 2016, the direct-to-consumer company intends to support its expansion in Germany and Central Europe with the move. The Ampler Bikes showroom is located in the hip Berlin neighbourhood in Prenzlauer Berg, at Kollwitzstraße 47. The flagship store will operate as a base for all Ampler’s German and Central European operations, which include in-store sales, a test ride centre, and a regional warranty and bike servicing hub. Beyond the store location itself, the company has set up test riding opportunities in Amsterdam, Zürich, Munich, Düsseldorf and Vienna. The Ampler Flagship Store is now open for visits on Tuesdays till Fridays from 11AM till 7PM and on Saturdays from 11AM till 5PM at the Kollwitzstrasse 47 in Berlin. 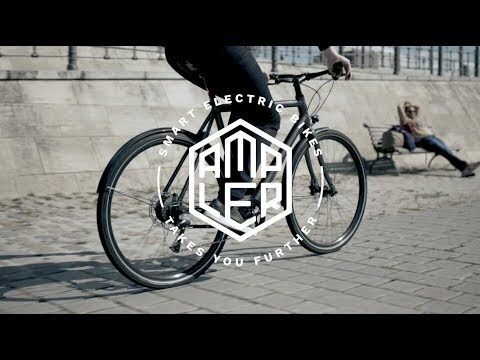 Ampler Bikes stirred waves in 2016 when it launched its electric bikes that were lightweight and looked just like regular bicycles on Indiegogo. In February 2018, Ampler released three new bike models, called Curt, Stout and Stellar, with the lightest weighing just 14.1 kg. The company stems from Tallinn, Estonia where the three founders built the first prototype in 2014. Currently, Ampler has 16 people working between the two offices located in Berlin and Tallinn.